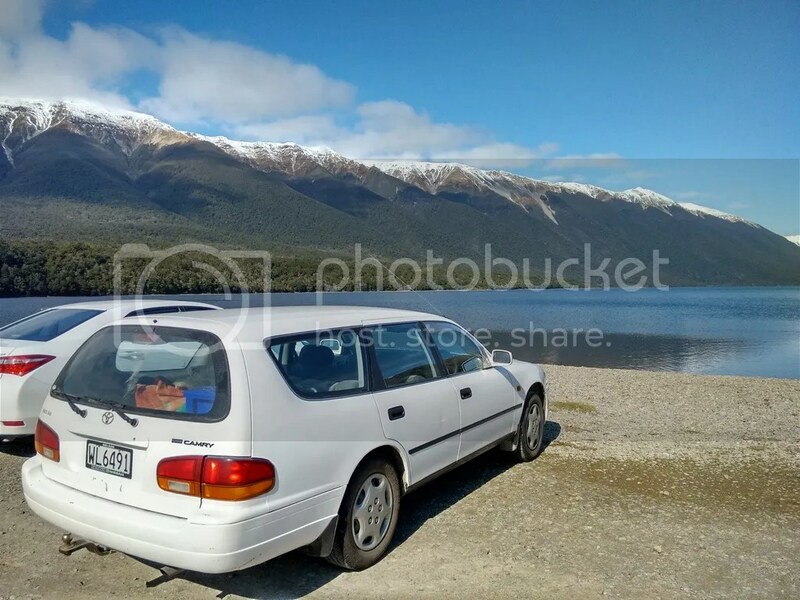 After arriving in the coastal city of Nelson, we had pretty much one goal: buy a car. This was something that I had stressed and Tracey wasn’t too sure about doing until talking with some other backpackers. Why? It is expensive, confusing and all around way more shady than when you compare it to the hoops you jump through in the States. Our search started off simple, we went to the Countdown grocery store and picked up a buy, sell, trade and a Mother energy drink for a few bucks. The Mother was to help me get through the monotonous task of calling up people at 5pm, right after they were leaving work and just as it starts getting dark out. And I suppose to kick start my brain to understand a Kiwi over the phone as he says something about the WOF and rego. Tracey decided this would be my adventure since I know about what to look for in cars and basically tuned out all the boring stuff I was looking for. After a bust and a meetup for the next day we started heading back to the hostel. As fate would have it there was a nice little Toyota Corolla sitting outside. That would not be the car we chose. No the car we decided on after a few shadily cheap cars, no call backs and a whopping 6 hours of shopping we decided on a lovely white 1997 Camry named “Chica” who was loaded with plenty of free camping gear.After we paid, got the keys and let the old owner say his goodbyes, we realized none of us knew how the title transfer went. Get this, after buying a car you just go online or to the post office and fill out a paper (not even completely, pretty much your mailing address and the licence number) and BOOM! You are the proud new owner of a car. 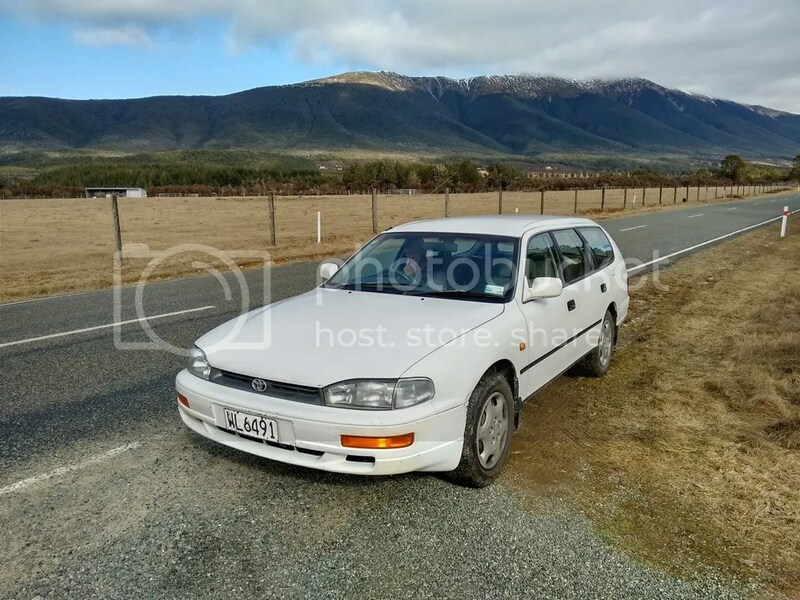 Basically you can just steal a car from someone you sort of know and you never have to get new plates, tags or titles…just a yearly registration and a bi-annual WOF that says your car is safe for the road.Car insurance not mandatory. Enough build up, let us introduce you to our new car. We renamed her to Hoop-Delilah. Some other things I have learned since buying the car: Car parts are EXPENSIVE AS. a small crap tool set($30), a worthless 2 ton Chinese jack ($50), 5 litres of synthetic oil ($65), generic oil filter ($15), NGK spark plugs ($45), plug wires ($130) and a paper air filter ($40) cost a grand total of $375. That’s a standard tune up. Mind you this is all from a place called Supercheap Auto. An oil change seems to cost anywhere from $100-170, over. Yikes! 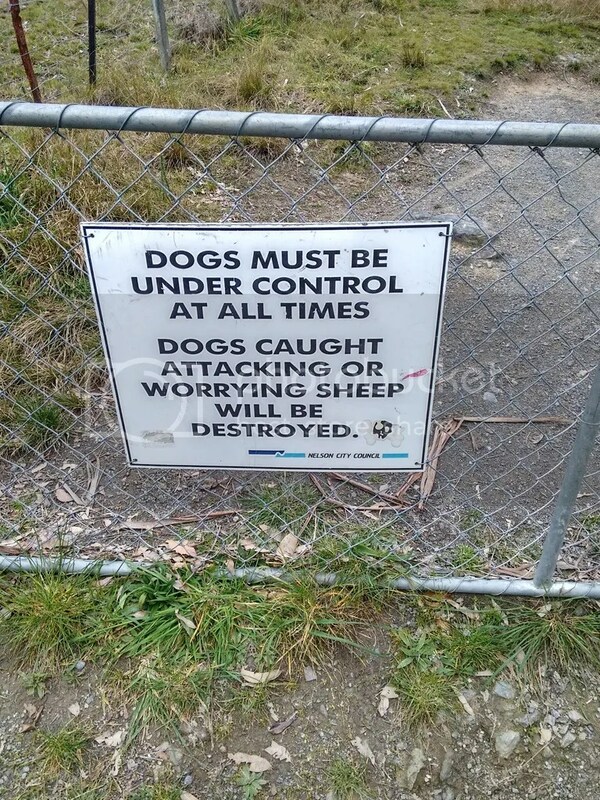 If your dog bothers a sheep, it will be destroyed in Nelson. Which made us wonder how they “destroy” the dogs. We figured most likely by drone attack since no dog destroyers seemed to be present on the trail. 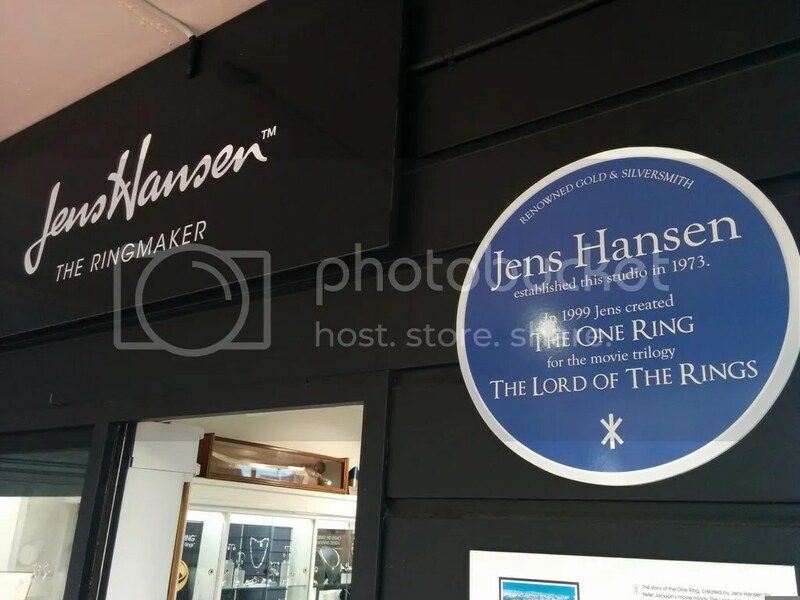 The one ring from the Lord of the Rings was made right down the street from the post office we did a registration change at. i bothered a sheep once. it told me to f- off. sheep are rude. i think the dog is getting a bad rap in this scenario.